One of the most popular places to live in South Florida is in the area of Sunny Isles along Collins Avenue. Jade has been associated with quality condominiums for some time now, and their Jade Ocean tower is one of the best options for buyers who are looking for a property to buy in the area. The 52-story tower is a stunning example of modern architecture, and it is beautiful inside and outside alike. It is one of the most popular addresses in South Florida, and anyone would be happy to own a unit at 17121 Collins Ave.
One of the things that people love about Jade Ocean and the resort style living it offers is the location. It is just steps away from the beach and the ocean, and is between Aventura Mall and Bal Harbour Shops. It’s also just a quick drive into Miami. The building features a six-story waterfall as well as beautiful landscaping. The building has valet services, as well as high quality security systems in place. Residents will also be able to enjoy a range of different amenities. They can spend time at the fitness center, the pool, and more. Of course, one of the biggest draws of the building is the quality of the units. They have one to four bedrooms, as well as a number of penthouses. All of the units have open living spaces, which makes them appear even larger and more spacious. It also makes sure that the owners will be able to enjoy an even better view from just about anywhere in the unit. Discriminating buyers will also love the quality of the amenities and features in the unit. They offer Miele and Sub Zero stainless steel appliances, beautiful European cabinetry and countertops, a built-in coffee system, rain showerheads, European bathroom fixtures, walk-in closets, washers and dryers, and much more. Those with an interest in Jade Ocean will have a wide range of different floor plans from which they can choose. Since the building offers so many options, it should be possible to find a unit that accommodates nearly every space requirement. The smaller units tend to have lower prices, which could be a great option for those who want to buy a unit but who do not have the money to buy one of the larger units or penthouses. Buyers who move into the unit and live there fulltime will enjoy all of the building features, the location, the beach, and more. However, many who are buying condos at Jade Ocean choose to use the units as investment properties. They can rent to fulltime residents, or they could rent the unit out to those who are going on vacation. Since it is a popular area, renting is typically easy. 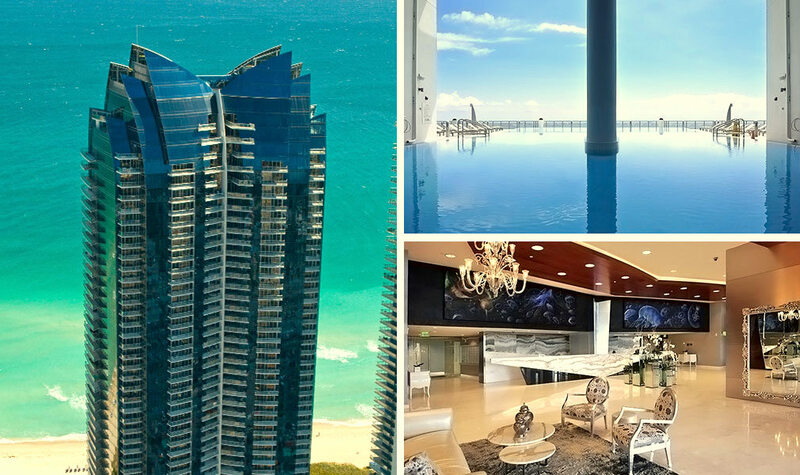 Sunny Isles continues to be a popular place to call home, and Jade Ocean remains one of the top options for prospective buyers. As one can see, it does offer plenty to love.